Remain in the EU, with no promise of major institutional reform. Leave the EU under terms and conditions devised by a Tory government. Most people on the left looked at those options and easily picked remain. But Corbyn’s whole game is about expanding the set of options. This is why Corbyn doesn’t care if the positions he takes are unpopular or don’t make much immediate political sense–he wants to make the unfeasible feasible, and he’s willing to commit Labour to spending many years out of power to do this. Corbyn’s opponents within the Labour Party want Corbyn to try to win the next election, but Corbyn doesn’t value winning unless winning enables him to do the things he believes in. He’s committed to a long-term project of building a different kind of Labour Party, one that can engage in the big picture existential ideological combat of the kind long familiar to Attlee’s Labour Party in the 30s. Attlee was leader of the opposition for 10 years. 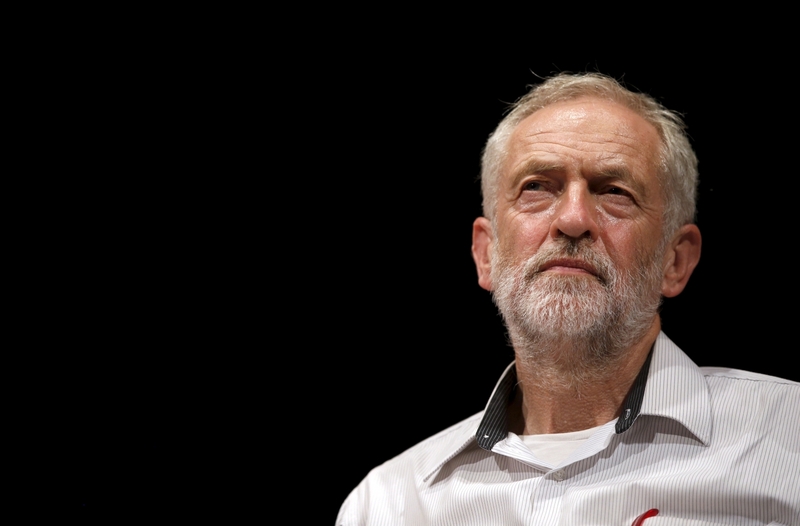 In his first election, Labour finished 10 points behind the Conservatives. Labour kept Attlee around anyway, and the party kept on grinding, attempting to slowly create the necessary space for a more radical political shift. When it got into power, it created the National Health Service and laid the foundation for the rest of the British welfare state. Corbyn wants to be a new Attlee, and if he has to lose in 2020 to do that, he accepts that. Previous Labour governments under Blair and Brown did not try to do this and did not want to do this. They wanted Britain to stay in the EU and get the benefits of globalization. Corbyn is different, Corbyn thinks globalization is a bad deal for the working class and he wants to reverse it. He wanted Britain to leave the EU, but he wants the Tory Brexit to be a shambles, and he’s hoping that when it’s a shambles, the British people won’t want to return to the EU–instead, they’ll want a left Brexit. He’s trying to lay the groundwork for that left Brexit, so that by the time he wins many years from now, it will look like a credible option. On the EU, the left is split into two camps. There are those who believe the EU can and must be saved, who want to see its institutions radically reformed to create a real, workable federal system. These people believe the answer to globalization’s ills are regional and international institutions that help states cooperate across borders to ensure corporations pay tax, are well-regulated, and pay their workers a fair wage. These people believe that EU disintegration can only empower the right nationalists, leading to an intense international race to the bottom for the patronage of transnational corporations, trade wars, and perhaps even real wars. Corbyn is not one of these people. Corbyn believes the EU is beyond redemption, that it cannot and will not be saved, and that disintegration is inevitable. In that sense he’s more pessimistic than the Europhile left. But he’s also more optimistic–he believes that European disintegration can restore the ability of the nation state to create and protect a strong, powerful domestic working class from international pressures. Corbyn’s position makes sense on its own terms, but I don’t think he’s right–if the EU disintegrates, there will be intense international economic competition, and countries which elevate their wages and taxes in a bid to create an old school left wing postwar utopia will lose out. It only takes one European country to choose to become the tax, regulatory, and wage haven for the others to be dragged along in the race to the bottom. Indeed, as it stands Britain is highly likely to become that country–Theresa May now says she will abandon the single market. At a tariff disadvantage, a Conservative government is highly likely to attempt to compete with European countries by deregulating and running wages and taxes into the ground. This will become even more likely if May cuts a bilateral trade deal with Donald Trump, exposing British firms to additional competition from a country with far weaker unions–25% of British workers are unionized, compared to just 10% of the US workforce. The last time 25% of the US workforce was unionized was 1975–when 43% of British workers were in unions. Corbyn’s best case scenario is that if and when May attempts to play race to the bottom, the British public turns on her and embraces him instead. But if Britain is subject to higher tariffs and runs higher wages, tougher regulations, and higher taxes than Europe, its businesses won’t be able to compete internationally. Economic growth will grind to a halt, and attempts at stimulus will just generate inflation. Effective left wing policy requires a favorable international environment–today the best way to create that favorable environment is through strong, collective federal and international institutions built on left wing foundations. The EU is not left wing, but it provides the political foundations for a federal system that can mandate taxes, regulations, and wages across a large expanse of territory, making it easy for Europeans to get the benefits of left wing policy without entering a zero sum game with one another–a game all Europeans are sure to lose. My hope is that if Corbyn does win, he’ll lead an effort to create new and better European institutions instead of trying to rebuild the world of his youth. That world is gone. It cannot be brought back, and our efforts to bring it back will only aid and abet the right nationalists who would turn all the nations of Europe loose on one another once again.